The Hooked On You collection by Alex and Ani celebrates love and is designed to evoke feelings of affection, romance and wonder. Based around the symbols of the heart and the arrow, this collection embraces both the soft, compassionate side of love and the strong desire and passion that come with infatuation. 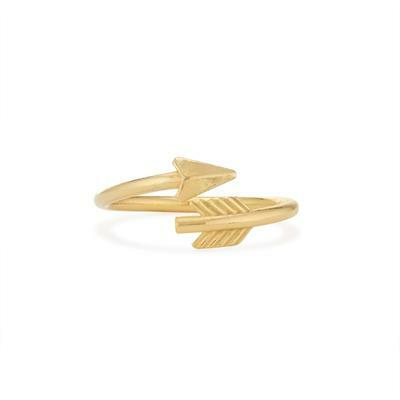 The decorative Arrow ring is made from Sterling Silver and 14kt Gold Plating.